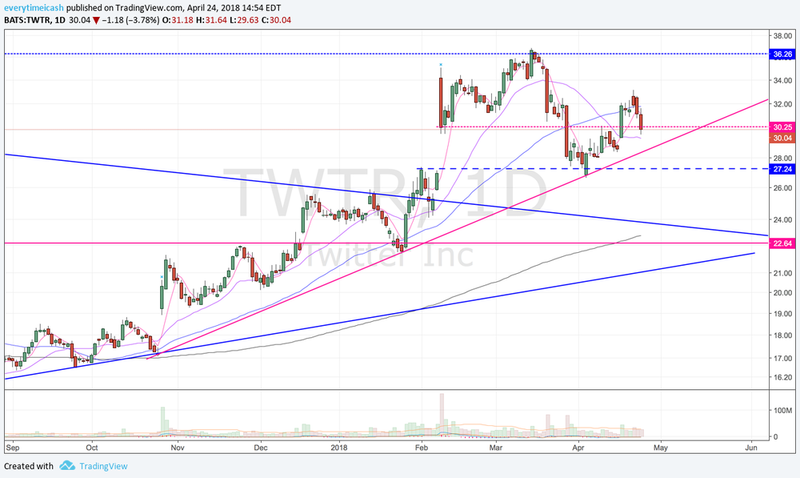 Twitter (TWTR) will report first quarter results tomorrow morning and host a call at 8:00 ET. The Street is looking for adjusted EPS of $0.11 (vs. $0.11 last year) with EBITDA up 21% to $206 million (vs. $185-205 mln guidance) and revenue up 11% to $606.6 mln. 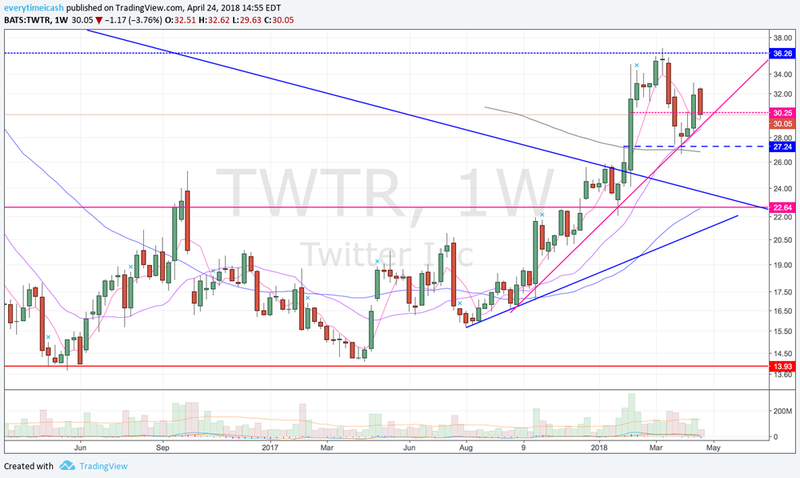 Last quarter, Twitter reported a profitable quarter on a GAAP basis for the first time ever. Twitter surprised investors by returning to year-over-year revenue growth for the first time in four quarters. Twitter has beat on the top and bottom line four quarters in a row. Twitter will guide for second quarter EBITDA -- consensus call for adj. EBITDA up 22% to $217 million. Twitter has a $23 billion market cap and trades at just over 8x sales, ~21x EBITDA and 50x earnings estimates vs. FB at 8x sales, 12.5x EBITDA and 22x EPS estimates, respectively.